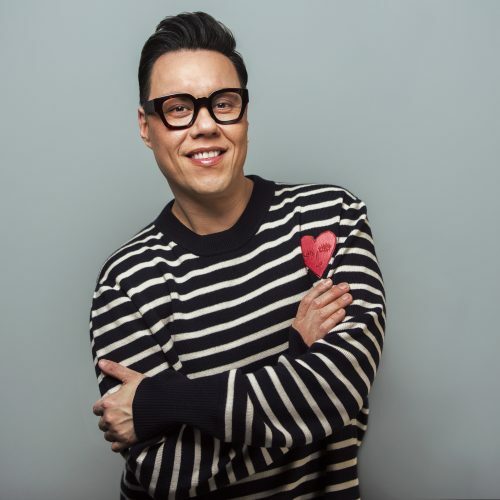 SAY YES TO THE DRESS LANCASHIRE (w/t), is hosted by stylist, author and award winning TV presenter Gok Wan. This 10×60 series is a new addition to pay-TV entertainment channel TLC’s Friday Brideday. The spin-off of the much-loved format SAY YES TO THE DRESS will travel to Ava Rose Hamilton, an award-winning boutique in the heart of Lancashire. Gok, teamed with boutique owner Paula Chappell and her dress obsessed consultants will guide the most demanding of brides to find the perfect bridal gown and say ‘yes’ to the dress. Alongside Gok and the brides’ search for the dream dress, SAY YES TO THE DRESS LANCASHIRE will also dive behind-the-scenes at the Ava Rose Hamilton, bringing fans all the excitement and stress from selecting next season’s styles to planning a big magazine shoot for the boutique. The series was ordered by Discovery’s Clare Laycock and Charlotte Reid is the Commissioner at the Network. Deirdre Dowling is the Executive Producer for TLC and Jo Haddock is the Executive Producer for True North. True North is one of the fastest growing television and media producers in the UK – creating smart contemporary shows and devising entertaining factual formats. In the past twelve months, we have made and transmitted more than 150 hours of content, with our high-profile productions airing on BBC One, Channel 4, Channel 5, MTV, National Geographic, CBBC, UKTV and Crime and Investigation Network. We’re proud of our ability to make first-class content that’s watched in almost every territory in the world. True North has its own post-production house with outstanding facilities and resources. From our base in the North of England, we create sought-after content for global audiences. We are proud of our integrity and our commitment to the very highest production values. As one of the 2018 Broadcast Best Places to Work, our exceptionally friendly and supportive atmosphere means that we’re the company of choice for many of the UK’s most talented content creators.